bit grinder machining - Purros Machinery Co.,Ltd. Checking the diameter of drill bit shank, then select the suitable collet chuck and cutting sets. Insert the collet chuck into the fixture and lock the nut. Put the drill bit into the collet chuck, and keep 35~50mm out of the collet chuck. 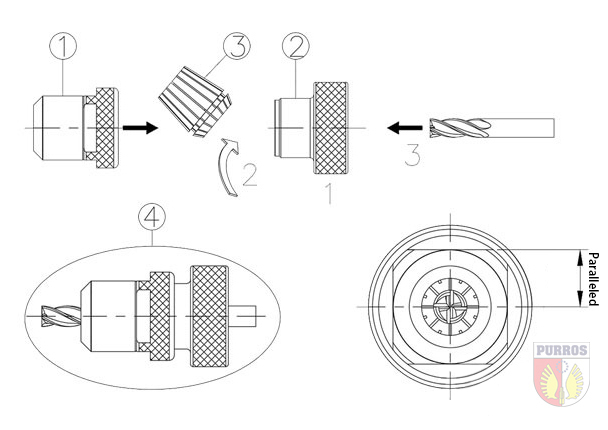 Adjust the scale to suit the outer diameter of the drill bit, and adjust the angle of point angle. Attention: Keep some margin for adjusting before locking the chuck sets. How to assemble and disassemble twist drills?